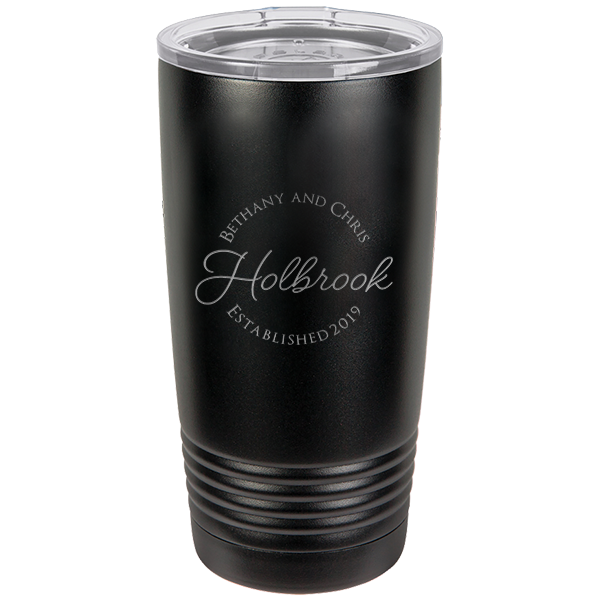 This custom wedding couple design is perfect for any beverage tumbler. Are you the mother-of-the-bride, maid of honor or a good friend? Cheer up the bride during her wedding planning with a mug featuring the date of the nuptials. 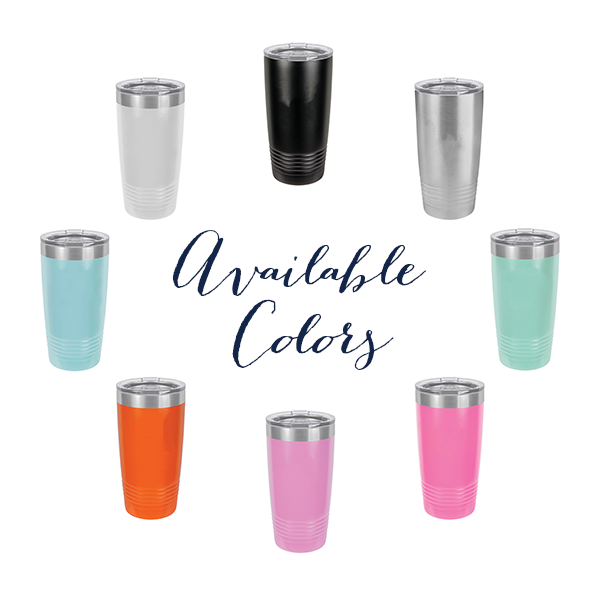 Makes a great wedding gift!